Check out our Blog: pHresh Living! Articles - What is pH? Your body has intelligence, point it in the right direction and you will folllow! Small Changes That Can Make A Big Difference! Cause & Effect, Get Started! "Join the Body Balance Revolution Now!" We are alkaline by design, but acid by function (breathing, digesting, thinking...the list goes on) and many of our beverages and foods today are very acidic, fingerpointing fast foods, sodas, coffee, and the list goes on. So as a result of poor diets, degraded food, water, and air, consequently we've become too acidic. Technically I don't suppose we were concerned about our pH or acid/alkaline ratio, until most of us no longer had enough alkalinity within us to DIFFUSE incoming acid rain. It seems through degraded food, water, and air, combined with lots of stress, as a people we've simply used up our alkaline reserves. How do we help ourselves? First I suggest targeting your acidic hot spots, what's causing you the most incoming acid? Then, create an exchange or a shortcut to diffuse that acid, one you will be happy with and that can become a part of your everyday habit. At the same time we can work on some fundamental foudational changes that will enhance our alkalinity. Perspective: If you can shift your perspective of food and water from simply being fuel and hydration, and develop your understanding of "you are what you eat" meaning "maintenance and healing comes from what we ingest", you will begin to understand why we, as a world, have become too acidic. Fortunately we can control our own environments, the key is to know what is most important, how to convert acid into acid busters, and simply make "Small Changes That Make The Biggest Differences" - that you like better, taste better, and are better for you . pH balance or optimal health can be achieved when our blood and tissues are pH neutral, i.e., our bodies are nourished and hydrated and we rid our bodies of waste and toxins. Cause and effect - Most of us are struggling with performance or feeling "sick and tired", are over or under weight, maybe obese, experiencing health challenges of many degrees, or we know people that are. It's all around us, and the most common denominators are degraded food, water and air. If you believe you are what you eat, what you drink, and what you breathe, then know we are for the most part, a result of our environment. Fortunately we can control our own personal environments, adjust to the conditions, and make "Small Changes That Make Big Differences". Our pH measurement reflects our acidity level, and if we listen to our body, so can our symptoms. Ideally, we should always have enough alkalinity within us to neutralize incoming acid, as well as the acid our body creates, but today, many of us find it difficult to diffuse our daily acid, let alone have enough to build a savings of alkalinity to cover us when we have an acid rain storm like a divorce, an accident, or a stressful event. Supplementation and water purification have become reasonable options to correct our pH balance. Unfortunately, deprivation or lack of pure water (hydration) and food with strong minerals, vitamins, and nutrients, can be the catalyst causing us to become too acidic, it's simple cause and affect. WHEN WE BECOME ACIDIC OUR BLOODSTREAM LOOKS LIKE THE GREEN POOL, WHEN WE ARE ALKALINE (NATURALLY), OUR BLOOD IS NOW CLEAR, PRISTINE, AND SIMILAR TO THE WATER OF THE OCEAN! Dehydration could be a major underlying reason for acidity. When you are dehydrated and not feeling well (sick and tired), there really isn't anything that will improve your condition until you rehydrate.. Most of us already know that our body is approximately 70% water, but we may not have made the leap that we need to replace the water we lose each day, through urination and perspiration, with clean pure water. 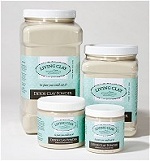 Our urine should be clear and without odor. The color (outside of vitamin discharge that happens when you don't absorb the vitamins) determines the level of hydration, clear you are hydrated, after that you are in some state of dehydration, which is also why we need to maintain 70% water as a standard for ourselves. Blood is or should be about 96% water. Our blood is our river of life, and our blood, just like a river, cannot flow throughout our body properly when the water is low (dehydrated), or when our water is not as clean as it needs to be for good health. Your entire body depends on pure water, and that's a challenge today. You see our body was designed to receive nutrition both from water and food. Withholding, or not ingesting enough water is detrimental, but so is ingesting degraded water. Pure water with nutrition (minerals) will be a neutral pH. Water issues (even with city water): chemicals, pesticides, bacterias, nitrates, chlorine, pharmaceuticals, and the list goes on. Bottom line, it's a challenge to become hydrated when most of our food and beverages are not hydrating at all. 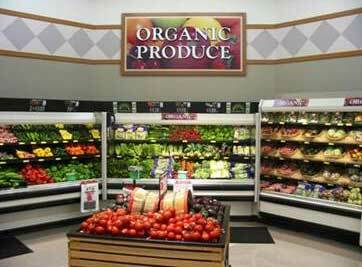 Fresh food carries water in it, processed does not, in fact processed food can be dehydrating depending on ingredients. Since we no longer have any pure water sources (globally), we need to clean our water. Bottled water, for many reasons, is definitely not the answer. Bottled water is not regulated by the FDA, so as long as the label correctly matches the contents (water), then it's just a matter of finding a suitable way to clean it. Most bottled water is put through reverse osmosis, which makes it acidic and without any nutrition, so your body does not hold onto it. Some is called spring, which can't be on the label if it's not from a spring, although tracking these springs down is something we all should do. Further, bottled is expensive and creates a disaster environmental. If you must purchase bottled water, purchase spring water, and be careful not to buy bottled water WITH FLOURIDE. Yikes! Now the baby water has flouride. Without pure water and lots of it, we cannot become pH balanced! Why is being hydrated with pure water so important? (from Physician and Sports Medicine, Nancy Clark MS, RD - May 1995). We have 20 different cell sizes in our body. Water has a moleular structure reminiscent of a bunch of grapes. Our body is designed to ingest the water, hold onto the water, extract the nutirion from it (minerals and such), and in the process, we break down the molecular structure small enough that all of our cells can be hydrated. You can't even go 3 days without water (maybe hours in blazing hot dry weather), although many days without food. Our cells contain different amounts of water to keep them hydrated: Muscle cells, for example, are 70-75% water, although fat cells are only 10-15% water, i.e., a muscular person will have a larger percentage of his/her body weight coming from water. Scientists define dehydration as fluid losses greater than only 1% of body weight. Water is lost first from the blood (not so great for keeping your blood clean). If water deprivation continues, cells will start to lose their water content. Dehydration can become fatal when 9-12% of your body weight is lost via water. So for every 100 lbs of body weight, 1 lb of lost water would be considered dehydration. Studies of athletes have shown sweat losses of 2 quarts per hour while exercising - a quart weighs 2lbs, therefore the athlete (if under 200 lbs) is dehydrated unless he/she has been rehydrating naturally during exercise, and or before and after. Moderate dehydration symptoms are low grade headache and fatigue. Severe dehydration is accompanied by nausea, chills, increased heart rate, inability to sweat, and lightheadedness. At this point, medical attention is warranted. Most people are a bit shocked when they discover how much fluid they need. Luckily, you get some fluids from foods you eat (especially fruits and veggies), and from non-caffeinated beverages (fruit juice, sports drinks, milk, vegetable juice, herbal teas). Remember caffeine and alcohol are both diuretics, and contribute to dehydration. So, ALL your fluid intake doesn't necessarily have to come from water - although that is the easiest and (usually) the cheapest way. Unfortunately, that's not happening with most of us. Our water is degraded, be it bottled, tap (city), well, cystern, or refrigerator filterd. Even if we have a water filter that removes chlorine, which most over the counter systems are limited to doing, today we have to remove a heck of a lot more than chlorine. See Articles. Most of us are not performing at our optimum, we're acidic or have symptoms, so our body is not breaking down the molecular structure as it should..
How can you tell if you are hydrating and hydrated? If you are urinating within a half hour after drinking, it would seem the water doesn't have enough time to break down the molecluar structure to hydrate yourself (add lemon). The best way to tell if you're hydrated is to monitor your urine. You should be urinating a significant amount regularly (3-4 times) throughout the day. If your urine is clear that's great, otherwise pale yellow through dark yellow are different levels of dehydration and acidity. Sipping constantly for a week seems to turn your brain signal back on for "thirst", allows you to drink less more often which is better, and is a phenomenal way to rehydrate yourself. Once hydrated your body will find its' own level of hydration, rule of thumb is: for every 100 pounds you are 70lbs of water, or 35 quarts of water. To cycle your body fluid monthly (already feeling great): 1 quart for every 50lbs of body weight. To cycle more often step up the hydration according to your goals (Change it up and add lemon, lime, greens, ginger, etc.). 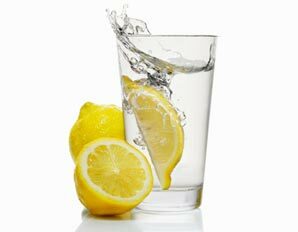 Lemon - Add lemon to your water and it will provide phytochemical nutrition and clean up the water a bit too. Because the water has added nutrition, your body will hold onto it longer to extract that nutrition, and in the process break down the molecular structure of the water and more easily hydrate our 20 different cell sizes. Lemon is pre-digestively acidic and post digestively alkaline, so it will help with your pH balance. In addition, I've found it's a great organ cleanser among other benefits. Click here for comprehensive Fresh Lemon Article. 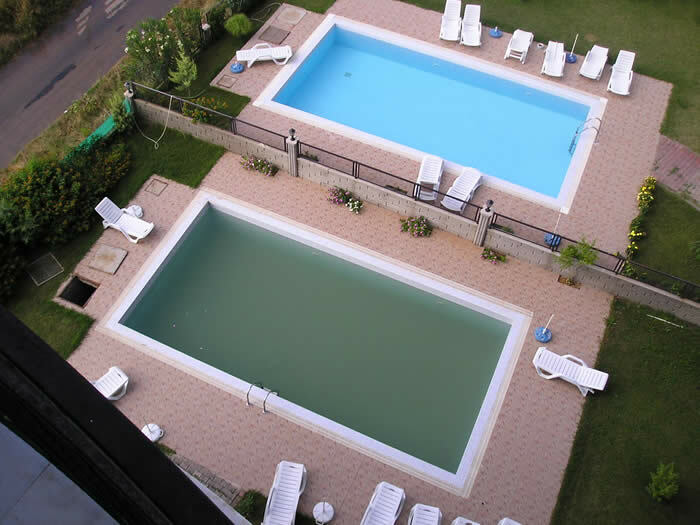 Think about swimming pools, when we chemically induce them to a neutral pH the water becomes clear and pristine, and micro organisms like fungus, bacteria, viruses, yeast, etc., cannot survive in the alkaline environment. We also rid the pool of the waste materials as part of the process of bringing the pH from being acidic up to neutral. We are naturally inducing our body into balance with pure water. Pure Water Solutions - The most comprehensive pure water solutions available. No detectable levels of Flouride, Chlorine, Pesticides, Chemicals, other water contaminants! Redox - Lots of ways to clean your water, and in my opinion, simple to install, little or no maintenance, at an underwhelming cost works for me, especially when the result is pure water. NSF Approved and with before and after lab tests: Eagle Redox medias in conjunction with carbon, coconut carbon, and carbon block medias, and more, testing with NO DISCERNABLE TRACES of over 500 contaminants. NEW: Natural Alakalizing Filter ($139 alone, or as third filter in triple countertop $225). Special Option: There is a newly engineered Natural Alakalizing Filter ($139 alone, or as third filter in triple countertop $225). Works as a countertop or under the sink. Originally designed to remineralize and raise the pH of reverse osmosis water, it also ionizes and has infrared balls. The flow rate needs to be slow, but the cost is so underwhelming that it's worth a slow pour! 1 minute / 1/2 gallon is optimal. You can place it under the sink if you have a whole house system, or you can make it the third filter of a countertop or undersink model. It's the bomb for pH balance. Filtron Cold Brew Coffee Cuts the Acidity Dramatically! Exchange your personal acid hotspots for something you'll like better! Food issues: There are more reasons not to eat processed foods and fast foods, than there ever were to eat them. Here's a big one to research, Excitotoxins (so detrimental and in so many foods), like MSG, Aspartame, and other perservatives and chemicals, additives, enrichments. Then there is High Fructose Corn Syrup, Soy in everything. To the average person this list may sound somewhat normal. But let's take one example of a health condition which is responsible for 1/3 of our emergency room visits, literally affects 1 in 13 of us, and is on the rise with our children. Did you guess? Asthma, and if you go to the various asthma sites they talk about dustmites, and pets, things like that, but when you research the items I've listed below you'll find Asthma along with a myriad of other health conditions are caused or aggravated by our degraded food, water, and air. Go figure! Soy Beans absorb more chemicals and pesticides than any other vegetable, 70% of our nations soy is genetically modified. Soy is now the number one filler in processed and fast food today, and that's not all, the list also includes health foods. vegan and vegetarian foods, as well as mainstream foods. Please buy "ORGANIC" SOY. The governments standards for our drinking water are different than health standards for drinking water. And did you know your skin is your third kidney so to speak, so when taking a shower, hot water mixed with chlorine is absorbed through your skin. Not to mention inhaled into your lungs. So it's pure water for the whole body that's cricital, not just drinking water! HFCS (high fructose corn syrup) has totally taken the place of sugar and beets in our food, but our body doesn't recognize it as a food so it is sent to our liver, just like alcohol is sent to our liver. Not a good thing for children, yet it's in every processed food just about, all the sodas, candy, condiments, cereal, etc. MSG is a preservative we all fear, and it's still here by many other names! MSG is also in a new class of poisons called Excitotoxins. MSG literally goes by many other names today, see Articles for compelte information. Aspartame, sugar substitute is another Excitoxin, it's crazy how harmful this can be, you won't believe it until you research it! Hydration and Nutrition in it's purest form is not a luxury, it's a necessity! Click here for "Small Changes That Make A Big Difference". No BUDGET? Take my "7 Food Day Challenge" and when you feel the shift, consider what good health is worth, because it is what allows you to be successful. You can balance using shortcut products, shortcut tips, knowing about alkaline/acid foods and drink. How quickly you become balanced depends on either your discipline or your budget - or a combination of both. This process can be the most fun you've ever had, nothing tastes as good as good health feels, and we have ways you can trick your brain into thinking one thing, but getting something healthy instead - honest! Just one example is coffee, highly acidic because of the processing, so if you cold press it you can reduce the acidity 60% or more - and that's just one change! Cause & Effect: Water, Food, Lifestyle: The onset (mostly since after WWII) of processed, canned, fastfoods, chemicals, hormones, antibiotics, synthetics, chemicals, STRESS, and degraded waterways have all contributed to our general overacidification (not having enough alkalinity to diffuse our environmental and internal acid rain), so focusing on more nutritious food when we shop, and cleaning up the water in our home can be foundational to everything else we do for feeling better. pHresh Greens - Greens formulated raw and pure from whole food, grass juices, vegetables, sprouts, whole leaf, healing herbs, avocado and avocado seed, concentrated sea trace elements, simply mixed with water - tastes great, 180 gram $45 approx. 30 days or more. Organic Whole Food Greens - Raw. Pure & Organic w/vitamins, minerals, enzymes, protein, antioxidants, anti-fungal, and other healing nutritional benefits, cold press processing to small particle size, nutrient dense, great taste. Maraline Krey returns as our top Health Guru live on LifeTips Talk Radio, a GreenLiving program. 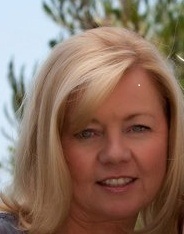 Maraline Krey is a health guru and master of "Small Changes That Make A Big Difference" in the quality of your health. On top of that, she is one of our favorites guests! We will be following up with what is new with Maraline, including new health changes you can make right now for a better life, what pH scale is and where we fit in, expounding on the ToDo's (how to shop, prepare food, diet & nutrition shortcuts, foundational versus targeting), expediting the health process (healing cycle, toxin removal, exercise), and her Fast Results Button! Interview with Jeni Patel of Listen To Your Gut, We discuss IBS and other chronic digestive/elimination issues and pH balance! "Small Changes That Make A Big Difference In the Quality of Your Health"
Why most of us are overweight and simple ways you too can purchase healthy, natural and arigulturally chemical free. Notation on HFSC (high fructose corn syrup). Fact: pH Balance or Imbalance is the consequence (good or bad) of nutrition and hydration! Fact: Small Changes Can Make BIG DIFFERENCES! Goal: Understand the difference between what your body needs and what it's been receiving! Resolve the deficit. Click Here For Your Gift of pHealthy Beverages! It is common knowledge that we can no longer support what our our body requires to function with today's food and water supply, and in addition to our diet we require bio-available supplementation and pure water. This in part is due to a deterioration of the mineral content in the soil (noted by congress as early as 1936), fast food, processed foods, genetically modified foods, inexpensive fillers, hormones and chemicals in our beef and poultry as well as their food integrity, plus an ever growing need to chlorinate, flouridate, and add more and more chemicals to our city water, in addition to exiting toxin issues in our main water supplies and aquifers. Learn about health and supplementation from a whole new perspective. pH balance doesn't have to be major lifestyle changes, it's about small changes that make the biggest impact. You will find pH balance to be intuitive, practical, and most importantly it will make sense to you like nothing ever has. Remember I am here to help and answer any of your questions. pH Balance, Acid/Alkaline, Alkalize, or Alkalarian are becoming common terms, used to describe our new awareness and understanding of this uncommon body measurement. pH Balancing cleans up the water of your body and eliminates toxins "naturally". The water environment our cells live in can determine the health of our cells, pH balance makes sense when we know we are mostly water (body 70%, blood 96%). Think about swimming pools, when we chemically induce them to a neutral pH the water becomes clear and pristine, and micro organisms like fungus, bacteria, viruses, yeast, etc., cannot survive in the alkaline environment. We also rid the pool of the waste materials as part of the process of bringing the pH from being acidic up to neutral. 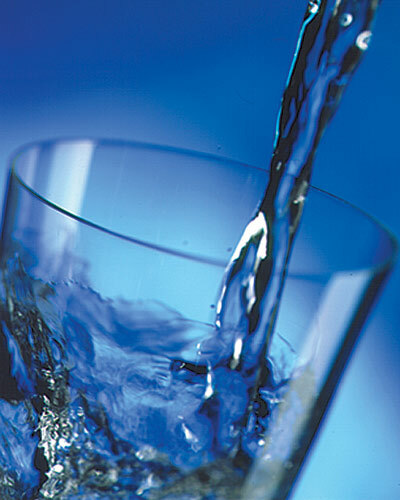 pH Tip: pure water Hydration is key, we are 70% water, out blood 96% water. And then there is fresh lemons or limes, cold pressed oils like Olive, Avocado, Coconut, and including Omega 3,6,9, greens and/or lots of vegetables, herbs, sprouts, grasses, and making dinner your healthy meal. Together, all amazing small changes that make a huge difference in the way you feel and look! Along with providing an understanding of pH balance, meaning which foods are acidic, which alkaline, there are lots of small changes you can easily make which will have the biggest impact on your pH balance, i.e., trading out one food/drink for another which you (and your body) will like better and therefore stay with, plus adding supplements. We are all trying to make up the difference between the nutrients we can absorb from our food and water and the nutrient levels our bodies require! Cleansing because you want to or need to (our digestive/intenstinal tracts are key). SAD (Standard American Diet) cannot provide what we require. WHY DO WE NEED A pH FLOAT? Think of it as an innertube that helps float you up while you learn to swim. The pH scale compounds itself - that means 7.365 is neutral, 6.365 is 10x more acidic, 5.365 is 100 x more acidic. It's much easier to employ a pH catalyst than to walk up a spiral - Remember you didn't fall off a cliff, you spiraled down! Jupiter Science Ionizers. THE SECRET: We were designed to be pH balanced; we are acid by function and alkaline by design. Becoming too acidic reveals itself differently, the the issue is the same for all of us an depending on how acidic we could simply experience symptoms, be chronic or have a diagnosis. Robert O. Young, author of The pH Miracle, The pH Miracle For Weight Loss, The pH Miracle and Diabetes and many, many others. You now have the opportunity to learn alkaline acid, pH wellness and pH performance from a whole new perspective. I personally designed this site with you in mind, to provide pH body information, pH product information, pH reference material, recipes, pH discussion on disease, weight, physical performance, and generally provide you a new pH perspective about living, eating and thinking! Learn why doctors are referring us back to whole foods, why Tony Robbins, Robert O. Young and so many others advocate GreenDrinks, Green Drink, and why pHBodyBalance (pure water, pure nutrition) is the high road to good health. Learn pHBodyBalance, what alkalizing means, all about green drinks, pure water, high pH water, ionized water, enjoy great recipes and simple small changes that make a huge difference in the quality of your health! Our fat cells protect us, they are the body's soldiers so to speak, absorbing toxins and acids. Weight loss is directly related to body function, health, pHBodyBalance, and to lose weight requires you address your pHealth, or it will likely be a shortlived and boomerang type of weight loss, weight gain, not exactly ideal for the health of our body. As you reach pHBodyBalance your weight will normalize, TAIslim shortstops cravings of the wrong foods, minimizes your appetite, and refocus your body, all while supplying many of the support supplements we need. When we can quiet the voice of craving, we can hear what our body wants, an ideal situation to lay the foundation for pHBodyBalance and healing. I also consider this a performance product, as you reach your ideal weight TAIslim works in the background to "tune you up", passively keep you at your best. Listen Now To Maraline Krey, pH Balance "Go-To"
Read on for revealed "pH Secrets", "pH Shortcuts" and other "pHowerful Information"
The biggest "pH secret" is rehydration with pure water, and by the way, sipping often is better than drinking a lot infrequently. Pure water as your foundation for drinking, bathing, and cooking, is a major key to good heath. In addition, supplementing today's diet by drinking greendrinks because greendrinks provide co-factor minerals and vitamins from whole food, particularly micro-ionized (charged back to the raw state) just like eating incredible amounts of green veges, sprouts, leaves, etc., feed your body concentrated whole food nutrition at a cellular level! You can do this through juicing and pureeing recipes or whole food green supplements. "pH shortcuts" can be read by clicking the navigation bar to the left, second article under the pH strips. We all know pH hydration is one of the key elements to a balanced body, however, what we may not have connected is our bodies are 70% water and 30% matter, just like the earth....and if the oceans, rivers and streams of our body are not pristine, then how can our blood cells be pristine, and how can we assume optimal performance? Adding fresh lemons that carry a post digestive pH ash, limes do the same as lemons with pH levels, and a great stevia that doesn't have an aftertaste. My favorite is Astraya Stevia concentrate (one sesame seed size equates to 1 tsp) will give you a great lemonade or limeade taste, help to clean up your organs, and hydrate you - not to mention a couple of hours after digestion it should also help your pHBodyBalance. You also might want to review how to enhance the pH level of your water, while exploding the water molecule 5 times smaller for easier absorption and cleaning it - all on your countertop Jupiter Melody. If it's your whole house tap water that concerns you, or if you live in an apartment you can simply change your drinking water and your shower water for under $200 with the CounterTop and Shower Filters. All of these systems are well designed and have proven to be effective ways to change your water environment - simple and cost effective for everyone! There are so many ways we can make small pH balance and pH level changes that will make a big pH impact! For example, if you are a coffee drinker, knowing coffee is not pH alkalince, but usually acidic, why not switch to cold pressed coffee vs hot brewed? 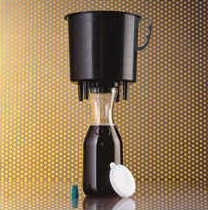 The cold press, cold brew Filtron coffee maker is an amazing device that will bring you a great cup of java with a much reduced pH acid because of the cold pressing, tastes just like fresh brewed! Same goes for fresh lemons and limes, there is no end to the wellness these two pH balance citrus can bring. Good cold pressed oils, i.e., extra virgin olive oil, avocado oil and of course the right blend of Omega 3, 6 & 9 oils such as Essential Balance (vegan) are major pH balancing factors. For those that understand the benefits of dry heat infrared sauna, I believe HealthMate Sauna offers the best solution - you can email me regarding this sauna and we will send you information! Another example of coming into balance along with pH plan, is exercise - we vote for Rebounding, it is amazing, exercising every cell in your body - the tricky part is to find a rebounder with the Needak Rebounder that absorbs most of the impact so that you can bounce easier and longer! You can rebound for 5 minutes a few times a day, what a pH level enhancer, and literally take care of much of your daily exercise needs - I have found this rebounder to stand alone in its class and well worth the investment. 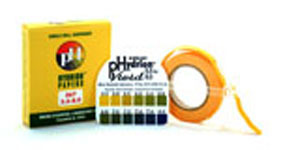 There are many pH level enhancements you can make to life as you know it. I hope to build this site as you direct, so please email me with pH questions, pH suggestions, pH recipes, pHdiet tips, anything pH you can think of - I will get out as much pH information as is possible! One of our favorite things is lemonade, we make it with the Citristar Juicer, it sits on my counter 24/7 and fresh lemons and limes. As a sweetner we use the Astraya Stevia, this was one of my finds, a concentrated stevia with literally no aftertaste. The Size of a sesame seed is a teaspoon of sugar. My recipe for lemonade: 3-4 fresh lemons, 1/4 tsp Astraya Stevia = 1/2 gallon. We also use the lemonade with various berries, watermellon and coconut milk to make great icepops in the summer - AND will use it in our greendrink on a warm day! We also like the GreenStar Juicer for great pH balanced super green juice, the FreshLife Sprouter, because it is electric, self watering and can produce sprouts for you 24/7 all year around - small, convenient and amazing. Did you know that sprouts have the highest amount of nutrition in the least amount of volume and are very pH balanced. For nutritious dehydrated vegetables, or any other number of foods like makig baby food, soups, snacks, etc., the Excalibur Dehydrator can't be beat. YourNatureStors offers many other high integrity natural lifestyle in-home products are all assets to the pH Balanced lifestyle, please visit often. YNS will be posting a quantity purchase wholesale prices page soon, and if you are a pHBB member you will receive an additional 10% off when you buy in quantity or bulk from this page. It will have all the items most of us use as listed above. As you can see our sister site, YourNatureStore.com offers many different pH product opportunities, some you have heard of and others that may be new to you, but all are worth your pH review. I spend all of my free time investigating not just products, but the best of the best when it comes to pH and I personally use or have used every product we represent - it all works together when the integrity and quality are built in and the result is pH body balance. If you need a product investigated, if you are unsure about what you are reading, let me know, I'll try to help. You now have the opportunity to learn pH wellness and pH performance from a whole new perspective. I personally designed this site with you in mind, to provide pH body information, pH product information, pH reference material, recipes, pH discussion on disease, weight, physical performance, and generally provide you a new pH perspective about living, eating and thinking! We, at pHbodybalance.com, do teleconferences, and we can connect you to people in your area that are already involved in pHBodyBalance that can help you get on your way! Call, email or submit information today - we'll do this together! Degraded food and water has resulted in a pH balance consequence. The statistics are clear, we are in this together to make a pH difference. Alkalize, Energize, Live Well & Prosper! 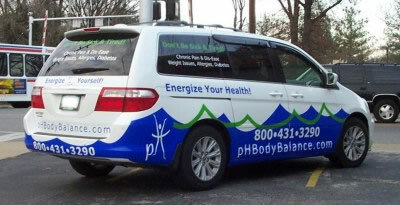 phBodyBalance.com offers you an opportunity to learn pH balance and pH performance from a whole new perspective. pH balance isn't about a lot of major changes, it's about small changes that make the biggest impact, you will find pH balance to be intuitive, user friendly, practical and we are here to answer any of your questions.